Clean Car Fax! Automatic Transmission! LX Model! Low Miles! Non Smoker's Car! This Civic is as clean as a Pin! Seats look like no one ever sat in the seats. This Honda is super reliable, will get great gas mileage, and is super affordable to operate. 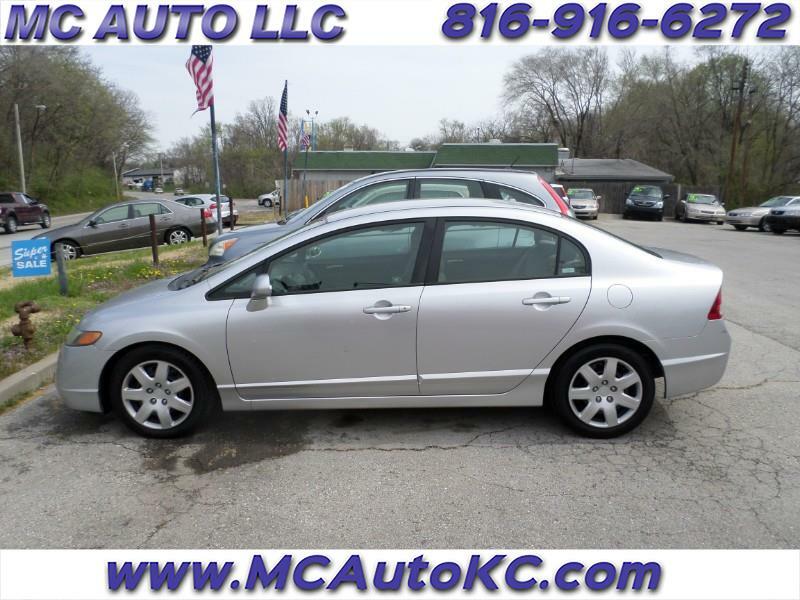 We have checked this Civic out, had it sent through the shop, had it Missouri safety inspected, and road tested it, it is a great little car. Plus, this LX Civic has full power, power windows, power locks, power mirrors, tilt wheel, cruise control, delay wipers, newer tires, key-less entry, CD player, ice cold AC, even a folding rear seat for lots of cargo space. This has been serviced regularly, we have the service records. This Honda is a great value, it is near perfect. You need to see to it to really appreciate how nice it really is. Look around, and then come see this one, there will be NO comparison. And lastly, we do not try to sneak in any hidden fees, like paperwork fees, admin fees, or doc fees. Call if you need any other information or need to schedule an appointment. CALL 816-916-6272 OR 816-665-7371 or visit us at www.mcautokc.com .